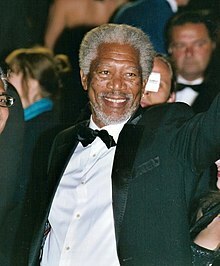 Morgan Freeman (ojoibi June 1, 1937) je osere, oludari filmu ati asealayye ara Amerika. Freeman ti gba has received Academy Award nominations for his performances in Street Smart, Driving Miss Daisy, The Shawshank Redemption and Invictus and won in 2005 for Million Dollar Baby. He has also won a Golden Globe Award and a Screen Actors Guild Award. Àtunṣe ojúewé yi gbẹ̀yìn wáyé ni ọjọ́ 10 Oṣù Kẹta 2013, ni ago 01:53.